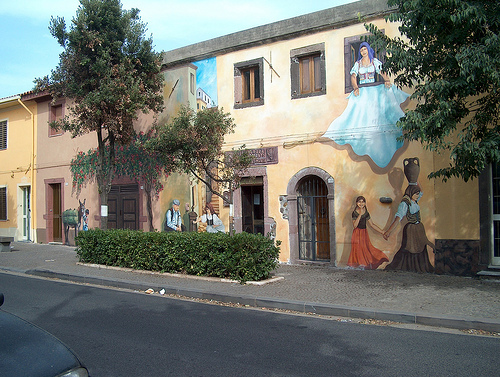 While Italy is known for its many historic walls – Roman, Etruscan, Norman and Aragonese, among others – some Italian towns feature walls which have acquired fame for rather original and unusual reasons: walls of fame, love walls, challenging walls and… entire mural villages. 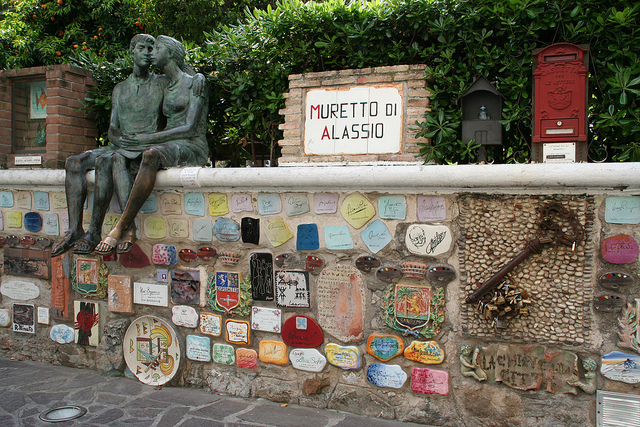 The Muretto di Alassio is a wall of the public gardens near the seafront of the town of Alassio consisting of 550 ceramic tiles signed by celebrities who visited the place in the past decades. 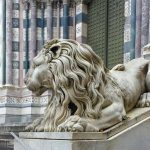 The tradition was started in the 1950s at the initiative of a local painter who decided to post tiles signed by famous people who visited his father’s bar Caffè Roma. 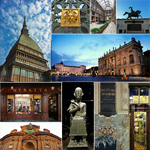 The first tile was posted by Ernest Hemingway. 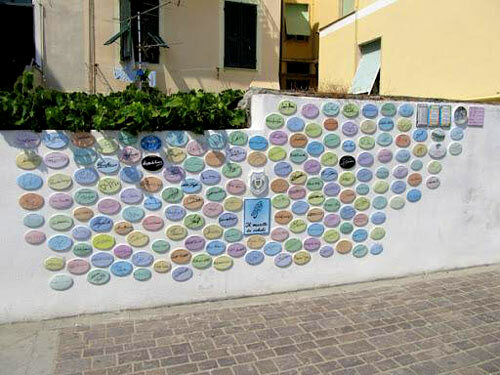 Since then, tiles decorated by various celebrities of film, theater, sport, music, and art – including Woody Allen, Charlie Chaplin, Anita Ekberg, and Jean Cocteau – have been added to the wall. 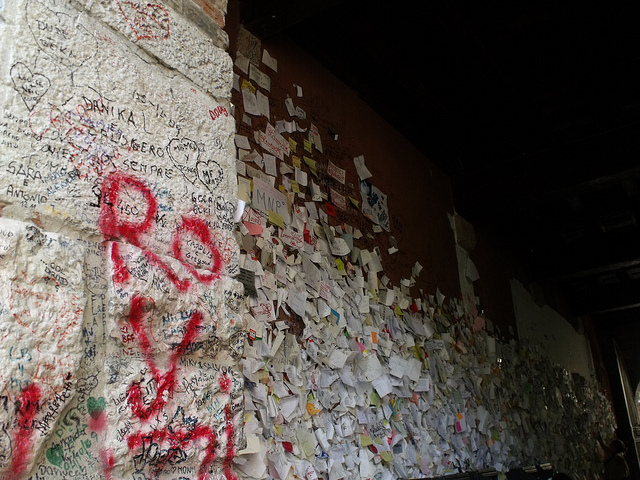 Love wall in Verona. Photo by ell brown. Juliet’s wall, also known as the Wall of Love, is situated in the courtyard inner archway of the house where Juliet Capulet is supposed to have lived in Verona. 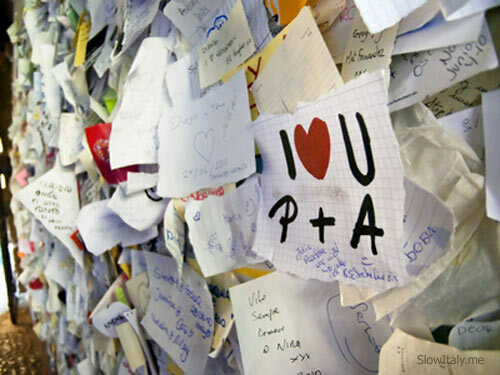 The wall is covered with graffiti and notes left by visitors for their loved ones. It is said that if you have a special love request and paste it on the wall, your wish will be granted. 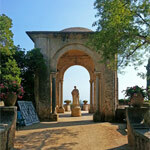 The building, dating back to the 12th century, was owned by the Dal Cappello family. Identification of the name Cappello with that of the famous heroine of Shakespeare, Capuleti, gave rise to the popular belief that this was Juliet’s house. However, many features of the building including the famous balcony, were added during drastic restoration works carried out between 1936 and 1940. 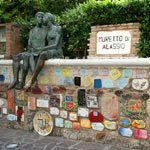 A true attraction among cycling tourists, the Muretto dei Ciclisti of Laigueglia consists of tiles signed by the Gotha of champion cyclists. 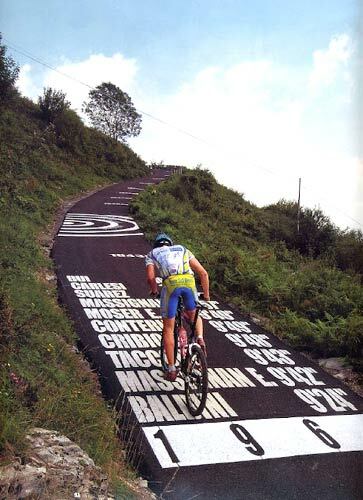 The Wall of Sormano, in the province of Como, is not actually a wall, but a road with such a legendary slope (experienced as virtually ‘vertical’ by cyclists) that it has been dubbed “Muro of Sormano”. 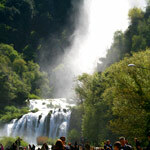 Inserted by Vincenzo Torriani in the Giro di Lombardia in the 1960 – 1962 – in order to make the race, which he perceived as too ‘easy’, more challenging – the slope has since then become legendary for its toughness, forcing many champions to get off their bikes and continue on foot. 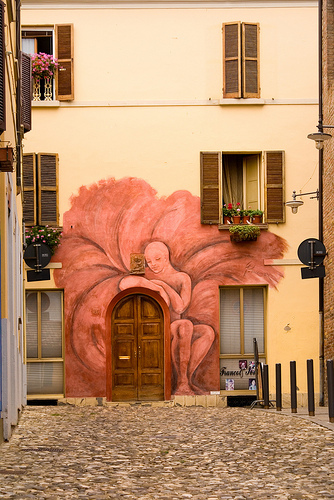 Located between Bologna and Imola, the small town of Dozza is known for its Rocca (fortress) and colorful murals in the borgo (medieval town center). 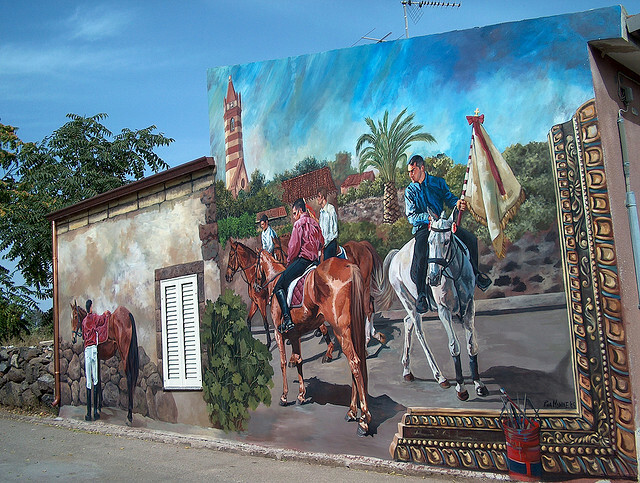 More about the mural village of Dozza. 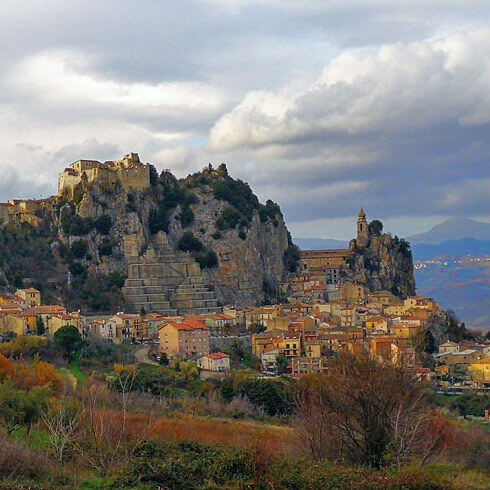 One of the unexpected treasures of the Sardinian hinterland is the mural village of Tinnura. 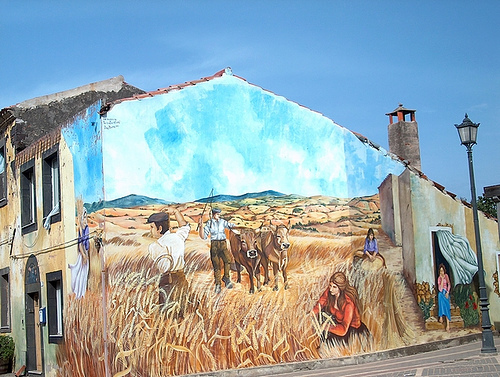 The small village of only 268 inhabitants is famous for its picturesque murals adorning the facades of the houses. 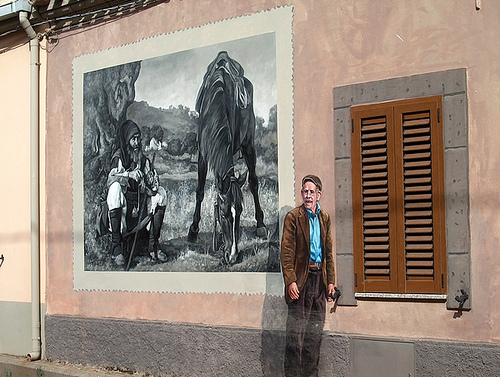 The colorful murals depict scenes of the rural life in the area. Tinnura walls. 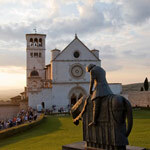 Photo by dapog. Painted village of Tinnura. 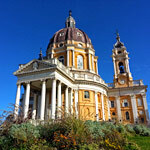 Photo by dapog. Wall of Fame of Tocco da Casauria. Photo by gabrdanh. 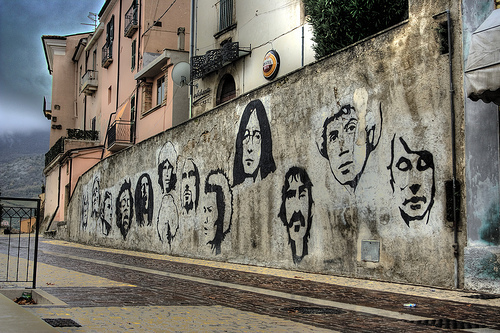 The Muretto of Tocco Da Casauria in the province of Pescara is decorated with the portraits of Frank Zappa, John Lennon, Sid Vicious, Kurt Cobain, Jim Morrison, Bob Marley, Jimi Hendrix, Jeff Buckley and Janis Joplin, among others. 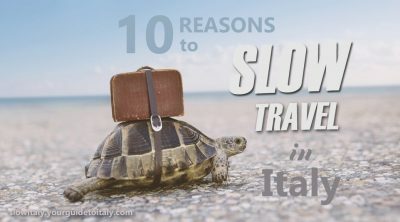 10 days is not a lot of time to cover all of the cities that you nnmtioeed. 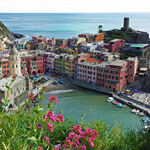 If you pick one of the cities, then it would be worth it to rent a car to explore the area around the city. 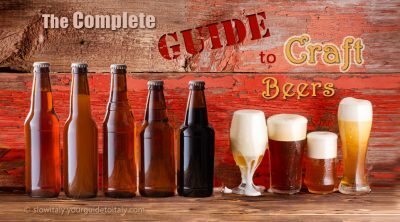 For instance, if you pick Florence, you can travel around to wineries in Tuscany, drive to Pisa and the beach and go to Siena and Assisi.If you choose Milan, you can visit the Lakes Region and sample wine in Piemonte, go hiking in the Alps and visit the Sacri Monti (look this up in Google).If you go to Rome, you can drive out to the beach, go to the Castelli Romani, and head to Hadrian’s Villa and Villa D’Este.But if you are planning to see Rome, Milan, Florence, and Venice in 10 days, I would just buy regular train tickets (not an Italy Rail Pass) between each destination and stay in the city without a car. Venice has water taxis and no cars. Florence is small and you can walk everywhere and there is no place to park. 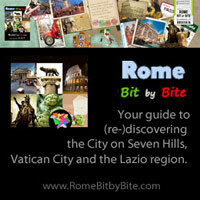 Milan and Rome are large but have good public transportation. 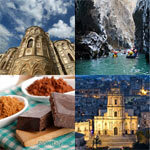 Another solution is to find an organized tour that is going to these cities that will take you to places you want to visit along the way.